Messier 95 is a spiral galaxy, which is located in constellation Leo. It is 38 million light-years away from Solar system and it belongs to a group of galaxies with M96 and M105. M95 belongs between the galaxies intensively studied by Hubble Space Telescope, in order to determine Hubble’s constant. Collected results were adjusted with help of satellite Hipparcos and the distance of this galaxy was estimated. The galaxy is drifting away from us by speed 766 km/s. 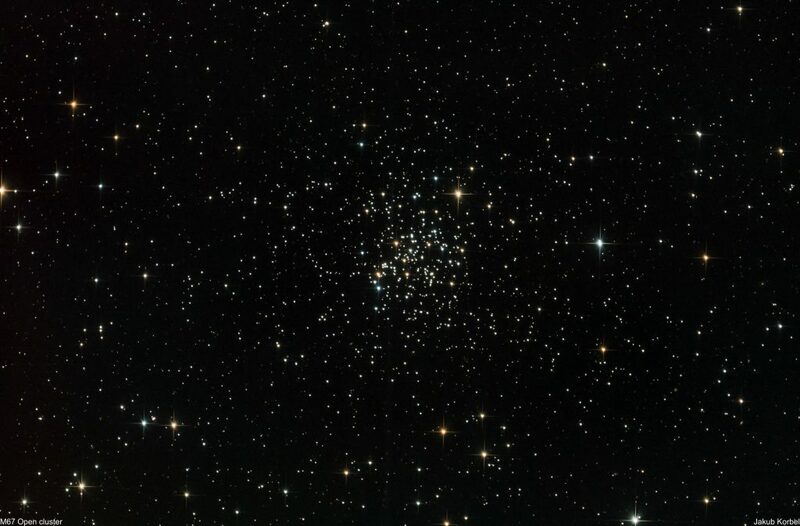 Messier 67 is an open cluster located in constellation Cancer and it’s one of the oldest open cluster from Messier catalogue. Therefore it was examined by many scientific studies. The diameter of the cluster is approximately 20 light-years and it’s roughly 2700 light-years away from Earth. Four bright galaxies in one shot! M96 on the lower left, which I already captured last year. 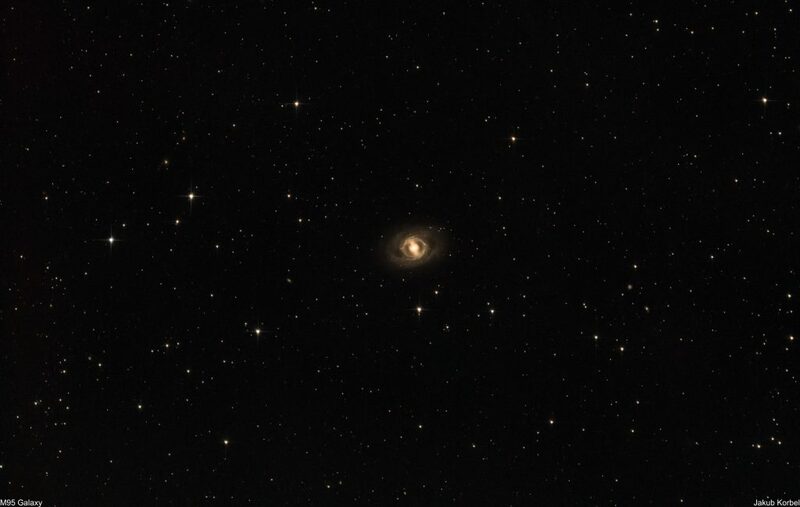 At that time I didn’t know, that there are other galaxies, which can fit into the field of view of my camera. 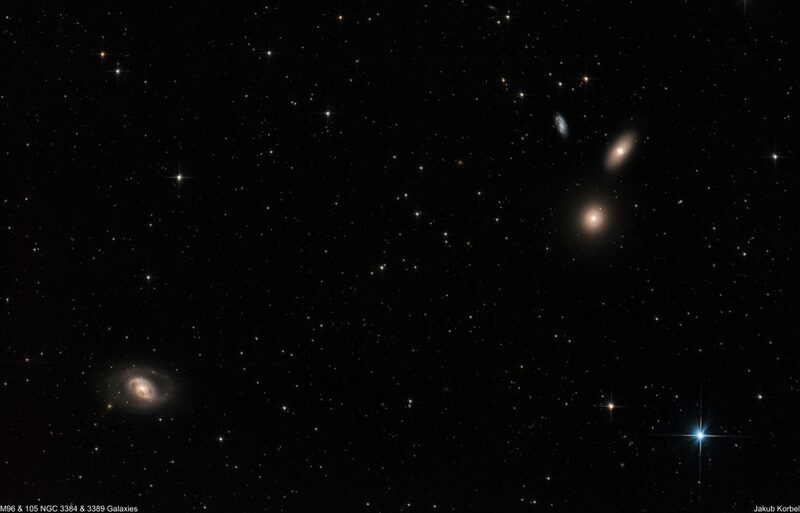 These are: M105 circular, lowest in the galactic triangle, MGC3384 – right in the galactic triangle and NGC3389 – left one in the galactic triangle. These galaxies are located in the constellation Lion and they are visible during the spring. Therefore I call the spring the season of galaxies. The weather last year was much better and I captured many of them. For instance here or here or here or here or here. M50 is an open cluster located in constellation Monoceros, visually not far from the brightest star Sirius. It was catalogued by Charles Messier in 1772 and it’s approximately 3000 light-years away from Earth. 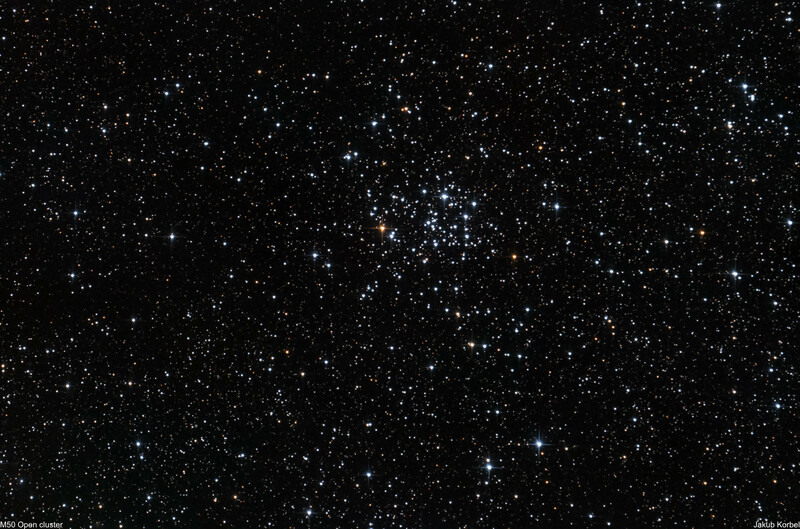 The latest research was conducted in 2012 and confirmed that the cluster contains 508 stars – you can try to count them. After long period of bad weather, I had the opportunity to take the telescope out and enjoy the clear skies. 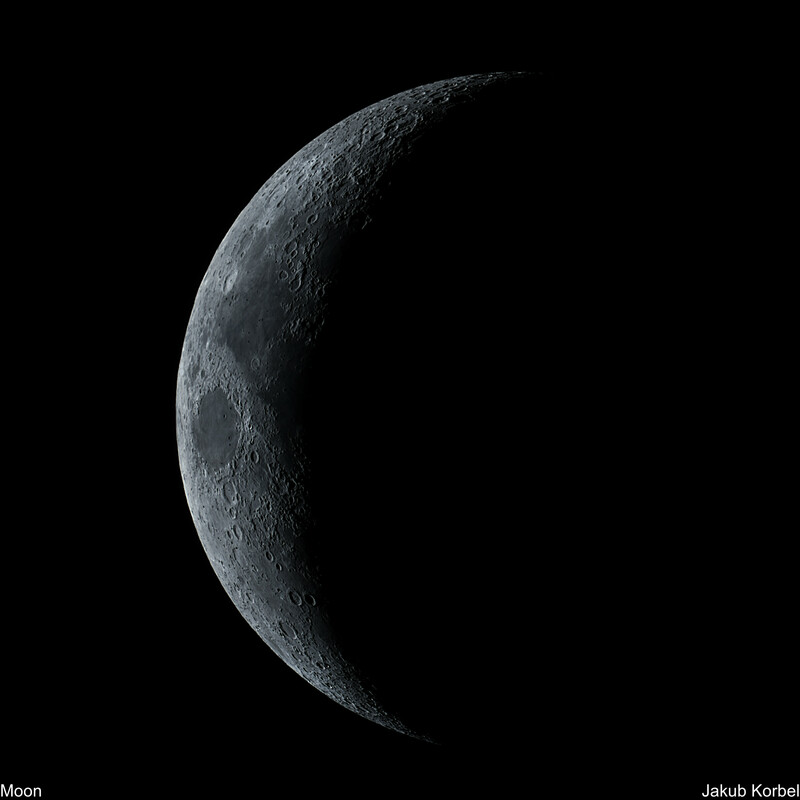 In the early evening, waxing crescent was setting down, so I took the opportunity and pointed my newton on the Moon. The illumination was only 34%, which means that as soon it gets dark, the Moon is not far from horizon and you have to capture it through thick layer of turbulent atmosphere. The picture is a stack of 700 frames. Filters: UV IR cut 2"